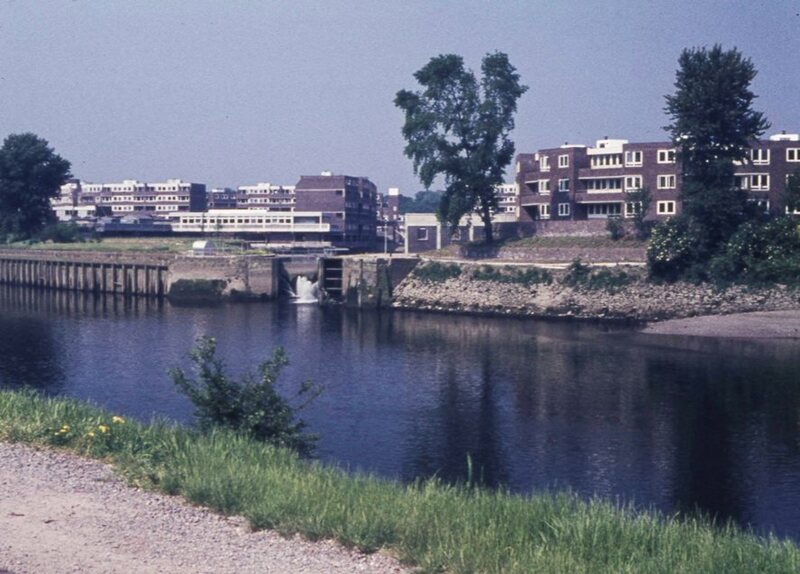 Peter Young took this photo on the 4th June 1978, from the footpath on the Surrey side of theThames, looking across to the newly built Brentford Dock development. There is no sign of any older buildings in this photo, one can imagine the town being created here in the 1970s if this was our only view of it. Getting back to reality, the Brentford Dock website includes details of the history of this area and also Brentford as a whole; it has many photos and also a map showing the dock area in the late ninteenth century. This site also has some historic photos, for example a 1950 photo showing a Bantam Tug being put through its paces in the dock area and Quentin Pickard's shot from a similar vantage point to Peter's, late 1960s.